Today I was out and about to celebrate my best friend's birthday at Musso and Frank's, the oldest restaurant in Hollywood and a personal favorite. As you can see, it was another glorious day in Southern California and perfect for a drive in the convertible. First on the agenda was stopping by where he works at CBS Television City. 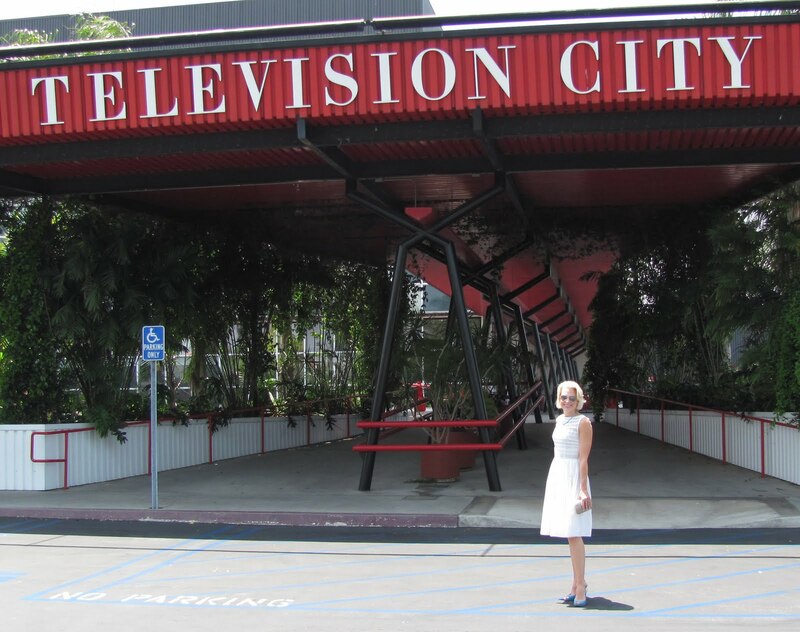 As a person who's a fan of all things old Hollywood, I'm crazy about visiting the lot because Television City is a place that goes wayyyy back in our history. Remember that CBS News has the integrity of Edward R. Murrow and Walter Cronkite. CBS Television has shows that helped establish the American Dream with people like Ozzie and Harriet and Lucille Ball. And CBS is responsible for some serious social monuments in television--All in the Family, the Mary Tyler Moore Show, and M*A*S*H are just a few. With many of the hallowed halls still paneled in wood, it's not hard to remember that you're literally walking in the footsteps of some of the greats of America here. Love the wood panel walls at CBS...very Mad Men. 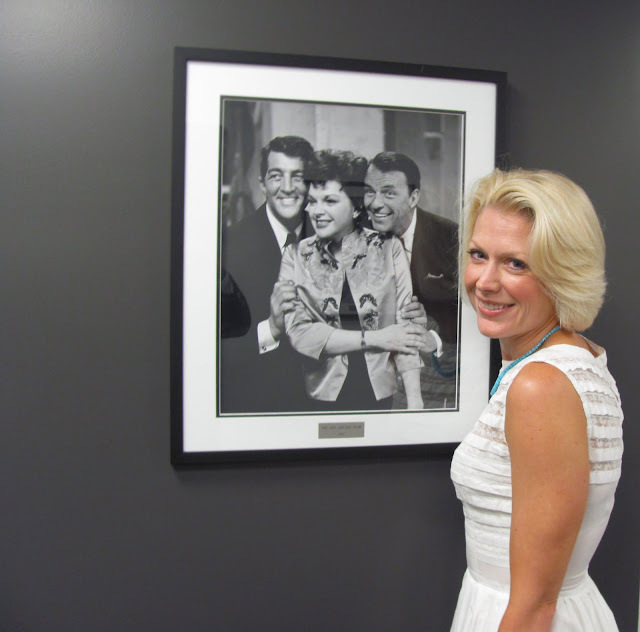 Talk about history: Dean Martin, Judy Garland, Frank Sinatra...and me. 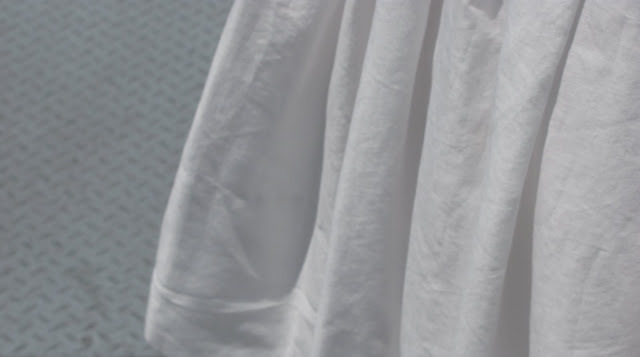 Next stop? Musso and Frank's in Hollywood.